Val will attend the annual Christmas Bazaar at the Newmarket Farmers’ Market in Newmarket, Ontario. Held inside the community centre at Riverwalk Commons on November 24, 2018, the farmers’ market offers produce, crafts, and the opportunity to connect with members of the community. Come seek out Val’s booth and talk to her. While there, you might find your next favourite book. The annual Writers’ Community of York Region Bookshelf event will be held next on May 25, 2019, at the community centre in Newmarket’s Riverwalk Commons. Join Val Tobin and other local authors in the community centre and check out the farmers’ market outside while you’re there. Val is available for speaking engagements. In 2018 she spoke at Probus in Newmarket and at the Optimists’ Club in Newmarket. Contact Val by email for more information and scheduling. Cardinal Press on Main Street South in Newmarket, Ontario has copies of most of Val’s books. Newmarket Public Library in downtown Newmarket, Ontario, carries Val’s books. 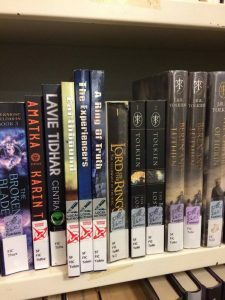 You can find them in the Fiction section and the Science Fiction/Fantasy section of the library. Val’s Books on Display at the Hedge Witch in Sharon. 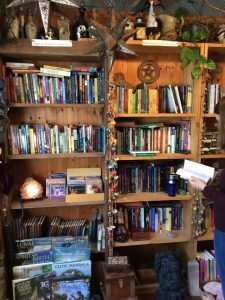 The Hedge Witch on Leslie Street in Sharon, Ontario carries a selection of Val’s books. 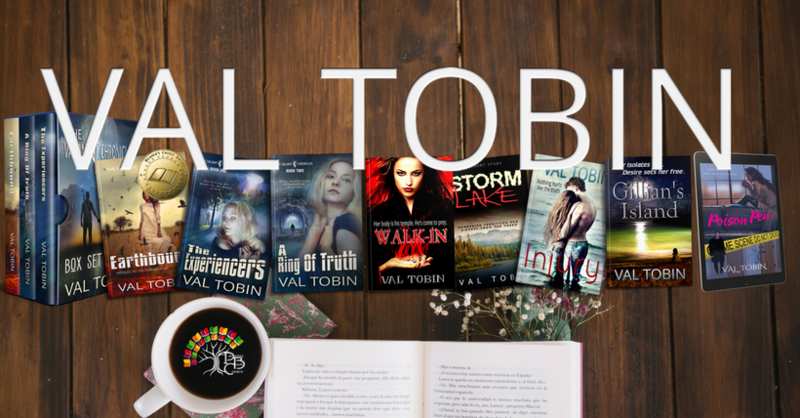 For a complete catalogue of Val’s books, check out the Books and Stories Catalogue page.